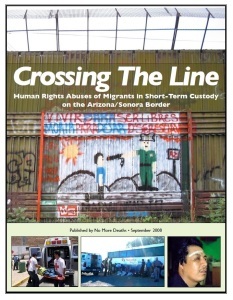 Released in 2008, Crossing the Line was an effort to bring to light the abuses we were hearing about daily from the thousands of people deported to Nogales, Naco, and Agua Prieta, border towns in the state of Sonora on the border with Arizona. 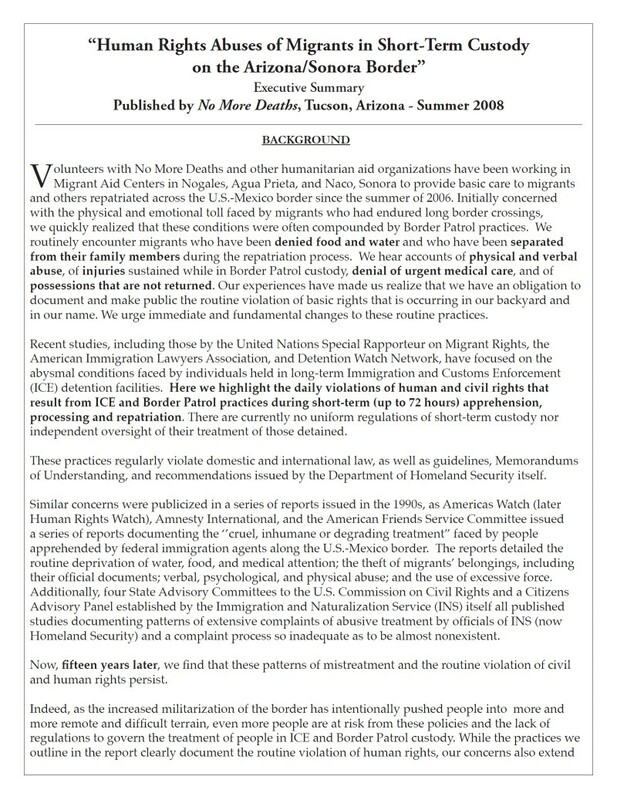 This report presents over four hundred individual accounts of Border Patrol abuses, along with analysis and policy recommendations. The stories were collected over a two-year period. 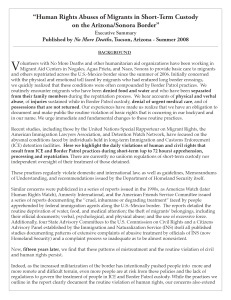 The entire report is provided here as a free download. You can also read and download the executive summary on its own. Hard copies are available; contact us to request one. Our campaign has drafted an expanded proposal for short-term custody standards, directly in response to the abuse and neglect witnessed by our volunteers and documented in Crossing the Line. We are organizing to get these standards adopted by the Department of Homeland Security.